Embracing technology can help improve your practices cash flow, while also building the dentist-patient relationship. Cash flow is the life’s blood of any business, and a dental practice is no exception. Dentists understand that. But what many don’t understand is how to improve cash flow. Fortunately, says Jordon Comstock, founder of BoomCloud Apps, a software company that allows dental practices to accept payments through their website, there are many options dentists can use to enhance practice cash flow. It sounds like a no-brainer, right, but the easier you make it for patients to make payments, the likelier it is they will—and do so in a timely fashion. Comstock explains that today’s technology enables dentists to create a gateway on their practice’s website from which patients can make payments. Many practice still send paper statements and invoices through standard mail. That’s fine. Just include a link alerting patients of the bill-pay option that you’ve added to your website. It can mean the difference between getting paid within two to three days, or waiting two to three months. There are other strategies to encourage patients to pay in a timely fashion. Consider offering a discount if patients pay their entire bill upfront. Or, create an in-house membership program (Check back for more on this strategy in future weeks). Payment plans are also effective, especially for patients who either can’t pay the full amount up front or don’t have dental insurance. Setting up an auto-pay program is another option. 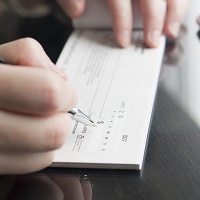 Just as many consumers today pay their home utility bills via auto payments deducted from their checking accounts, the same can be set up within your dental practice.